Easy vegan meals made with love and compassion. Chia seeds are an excellent source of fiber, Omega 3’s, calcium, iron and protein. They are great for increasing energy and for health. Known as a superfood, Chia was cultivated by the Aztecs. Lots of runners eat Chia seeds for strength and endurance! It is a great snack, breakfast, or dessert. 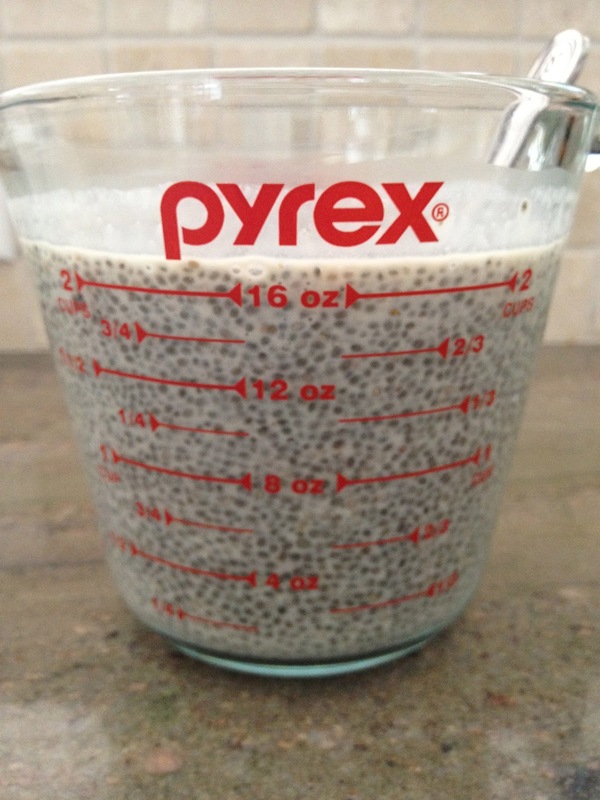 In a 2 cup measuring cup, measure out 1/2 cup of chia seeds. Add the almond milk, agave or maple syrup, and vanilla. Stir rapidly every few minutes. 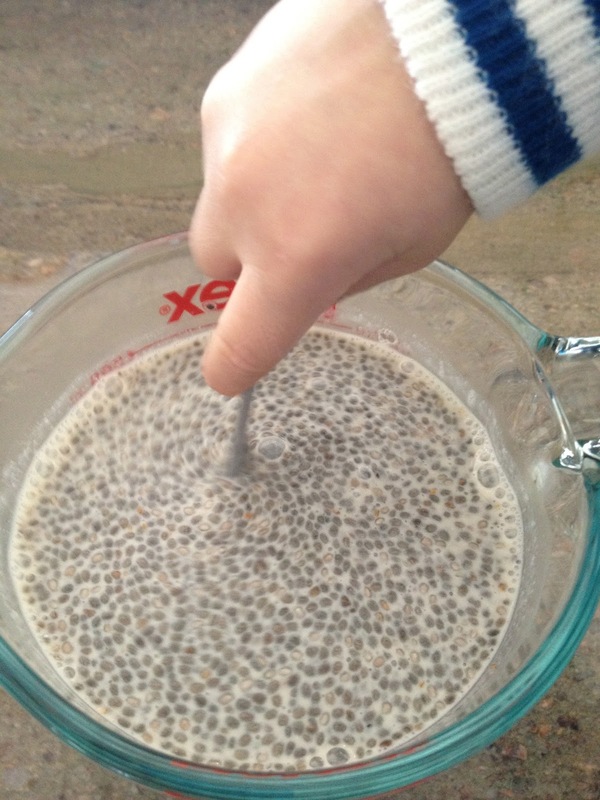 The chia seeds expand soaking up the milk and making a tapioca-like consistency. When it has set up, pour it into a container and keep it in the refrigerator. Enjoy! * When using storebought plant milk, use 1 1/2 cups. I sampled chia seed drinks several times at food fares, but I bought some seeds for the first time last weekend. I made your recipe last time, and it is really delicious and simple. It's also healthy if you don't put too much maple syrup, and I had some for breakfast this morning. It was refreshing.I also really like that fact it doesn't require any cooking and barely makes any dishes.Thanks for the recipe! 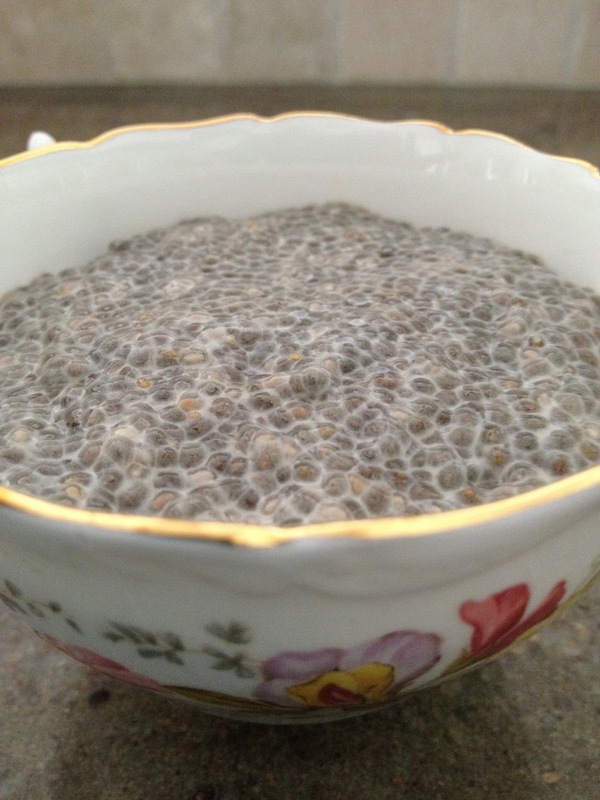 I am a late-blooming chia-fanatic! Just discovered chia pudding at Le Pain Quotidian at $6 for about a half-cup. I was hooked, and 2 days later have already made my first 2 batches! WIll try your chocolate version soon. Oh– I substituted organic lemon extract instead of vanilla and it is divine! See what’s happening in my kitchen on Instagram! Get Lisa's Project: Vegan directly to your Inbox! Book Report: Great Vegan Meals + 3 Recipes!